This model is 6' 0" and wears a size M. Their chest measures 42" and the waist 32". 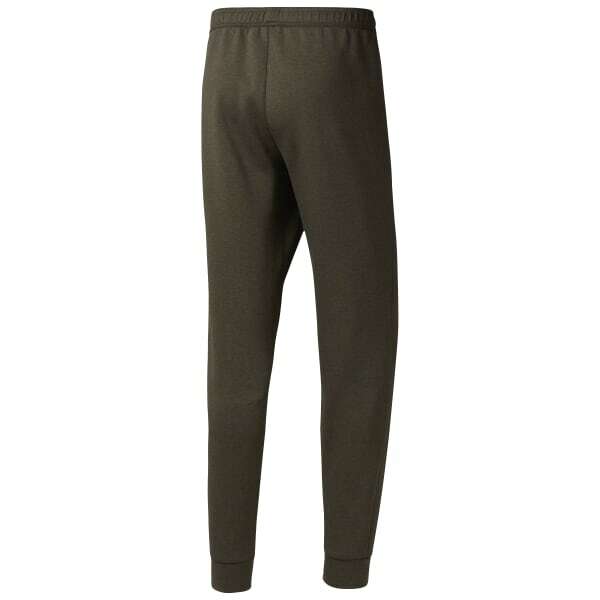 Pull these men's CrossFit Double Knit Jogger sweatpants on over your workout gear to help keep comfort prioritised. The soft fabric blend helps cut the cold out of early mornings. Move with ease with the help of the ergonomic knee design and hem cuffs with staying power.